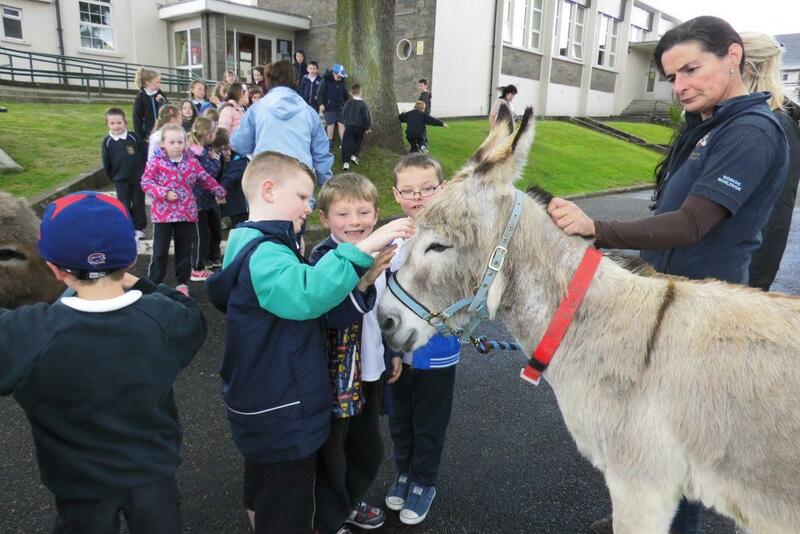 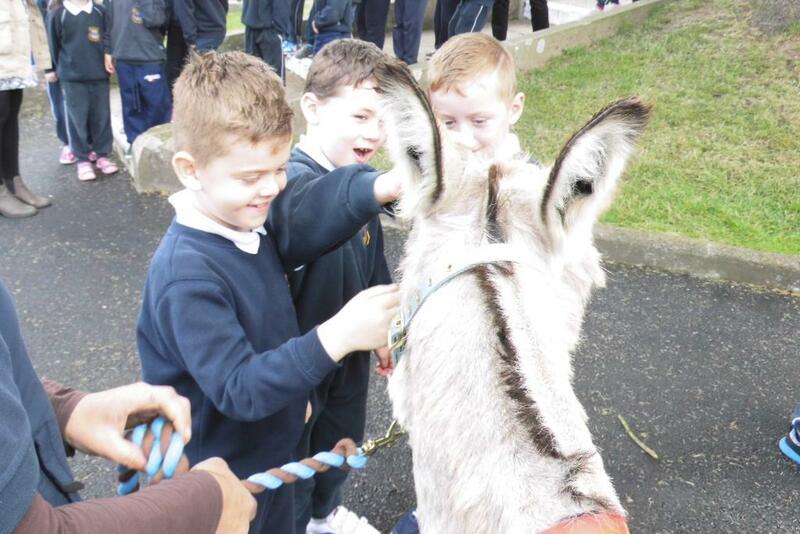 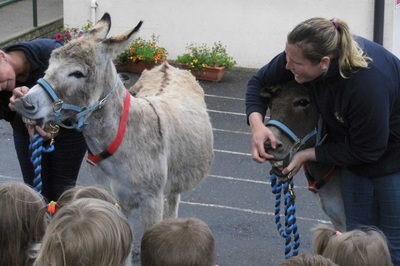 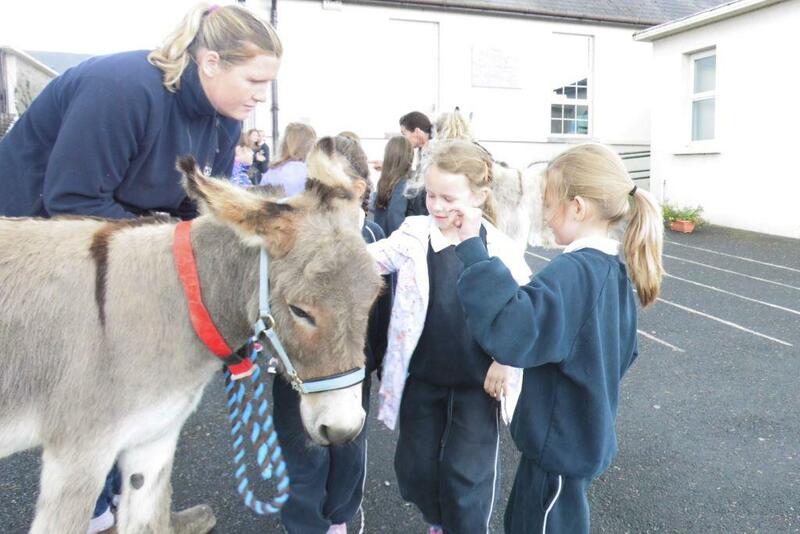 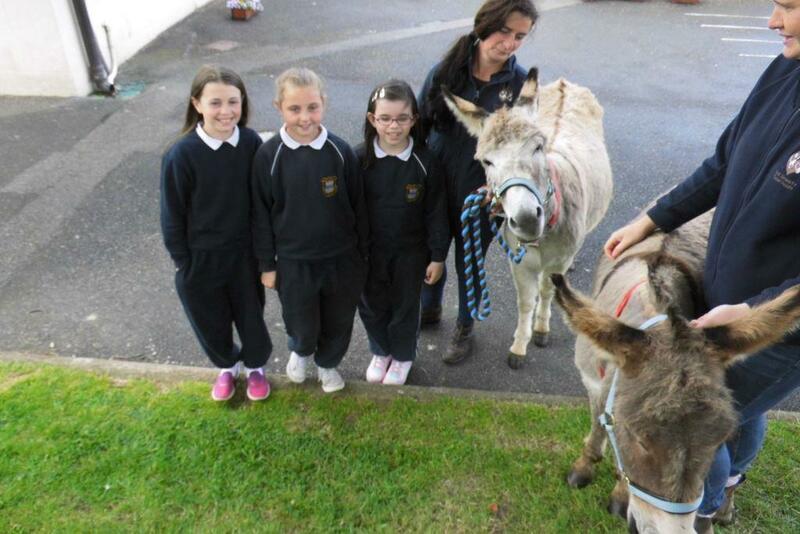 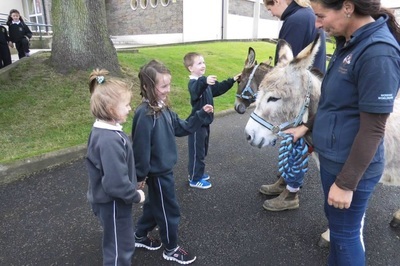 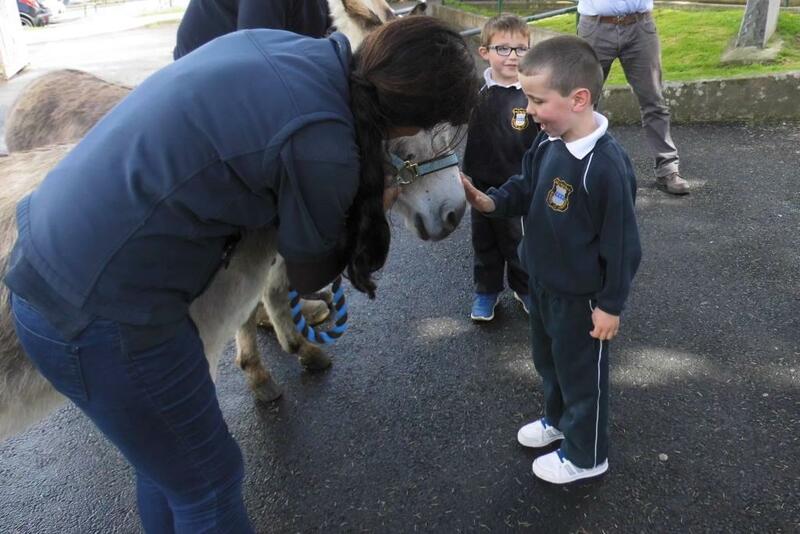 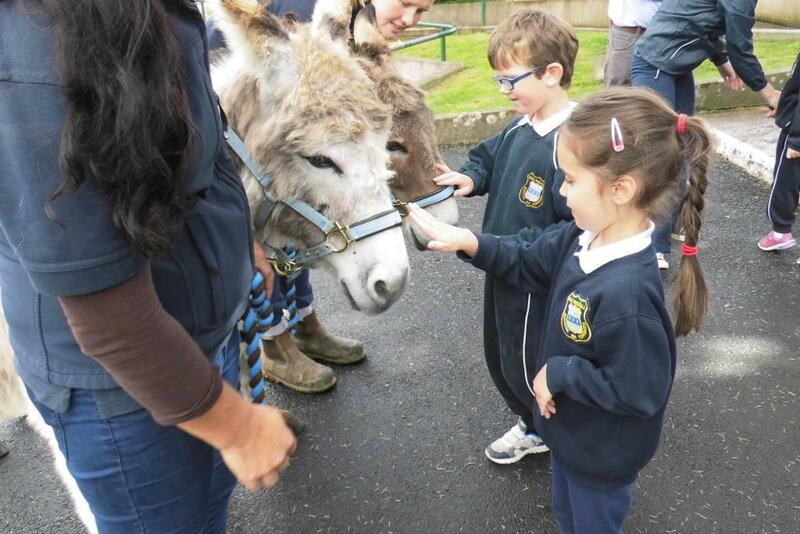 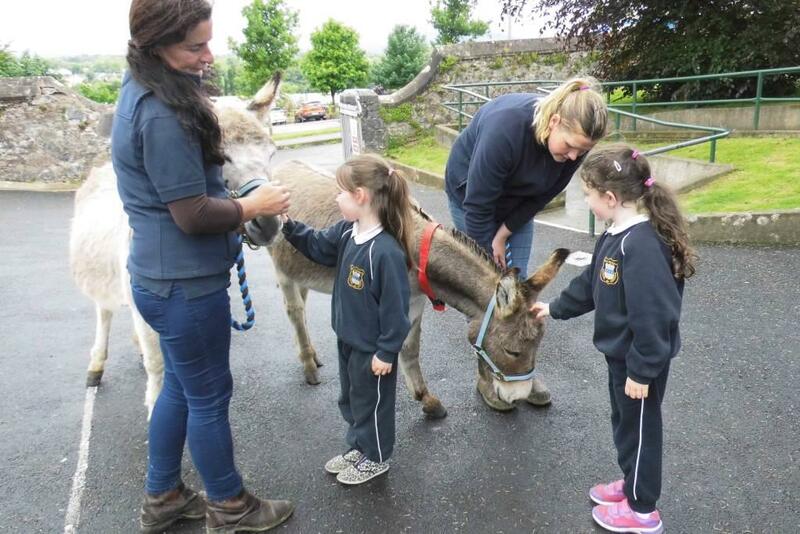 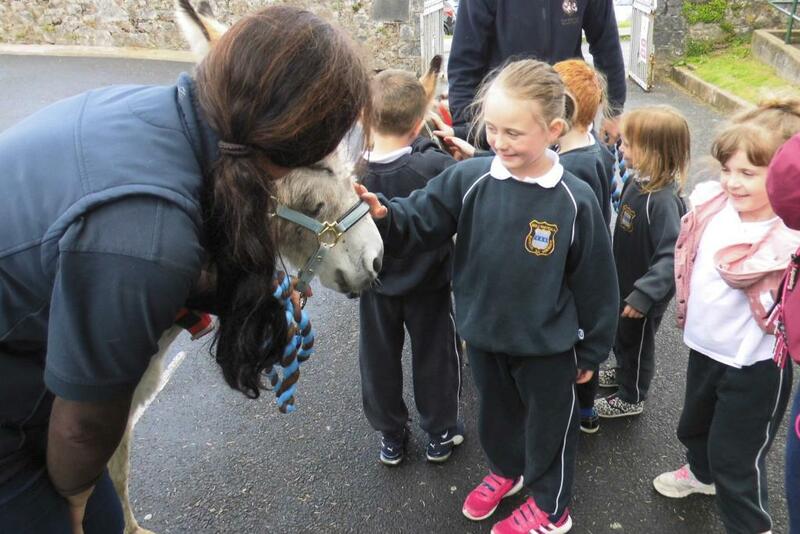 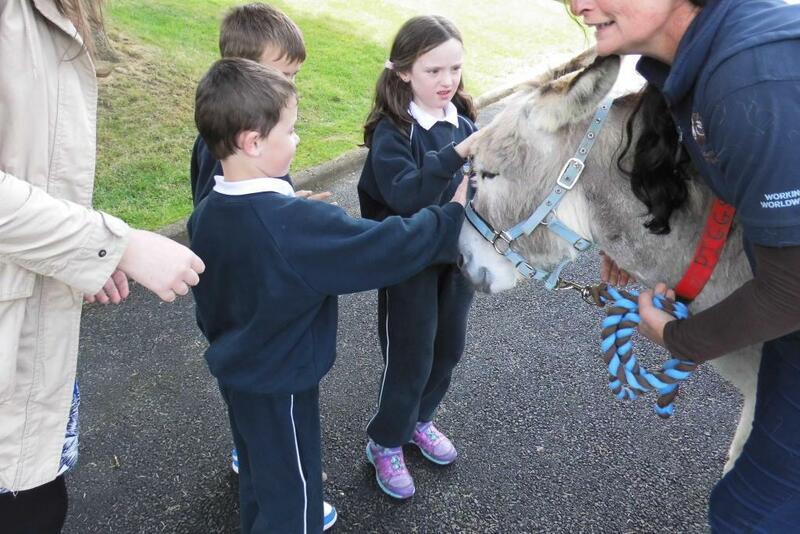 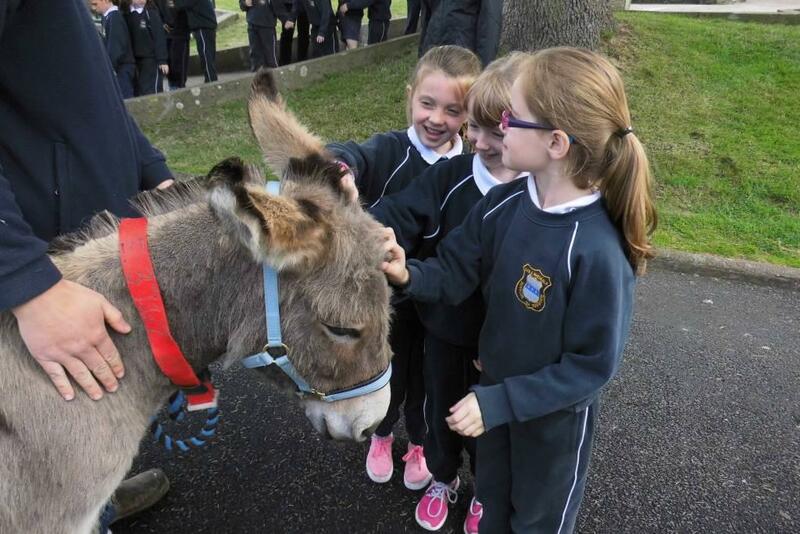 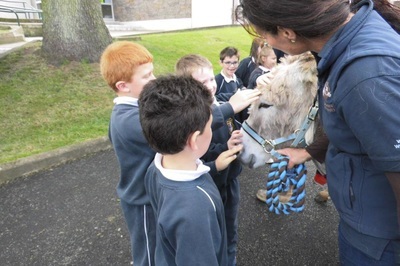 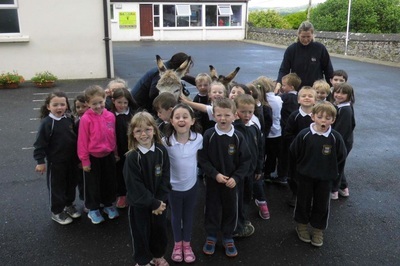 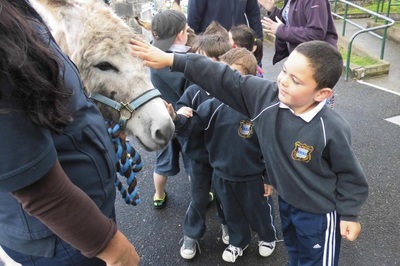 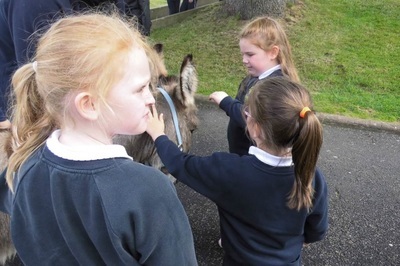 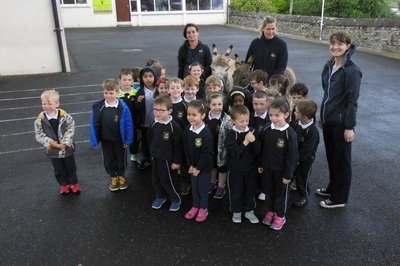 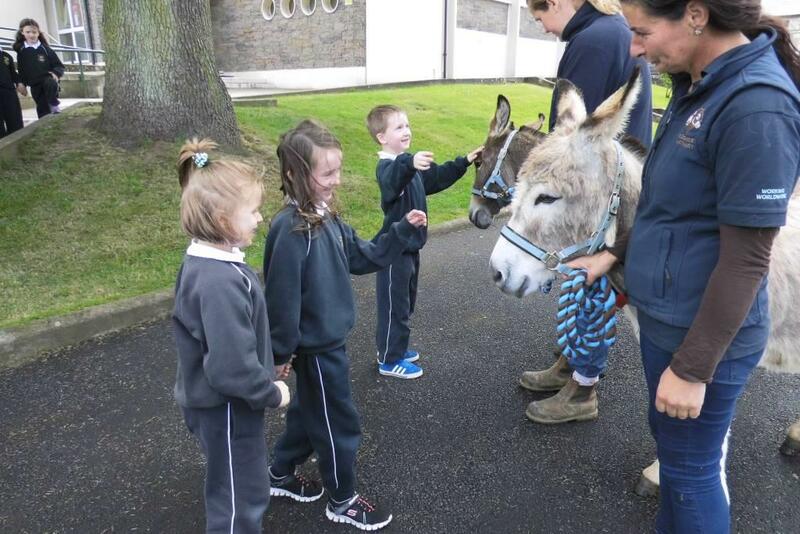 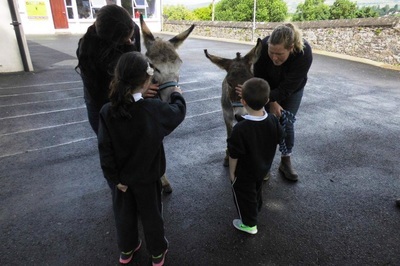 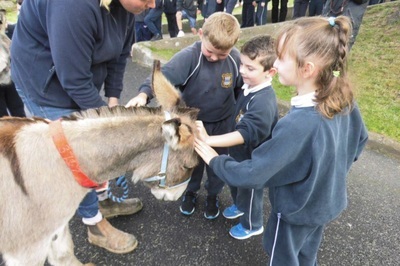 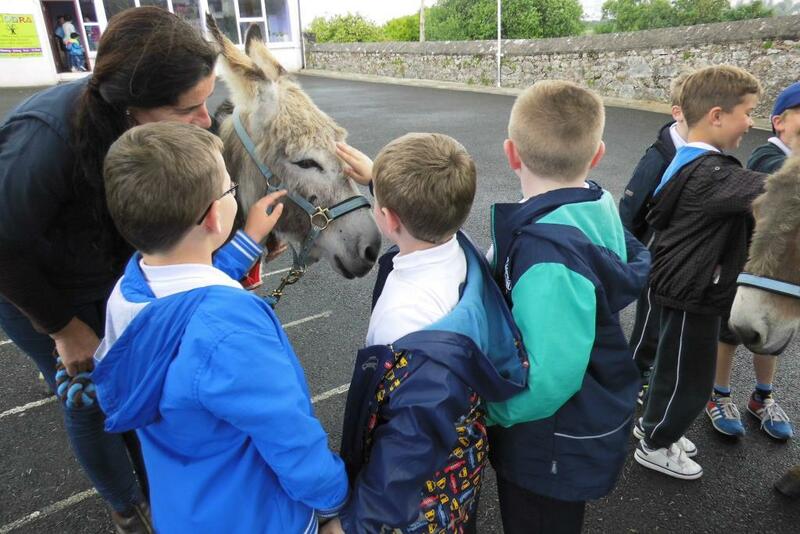 The Donkey Sanctuary visit Bunscoil! 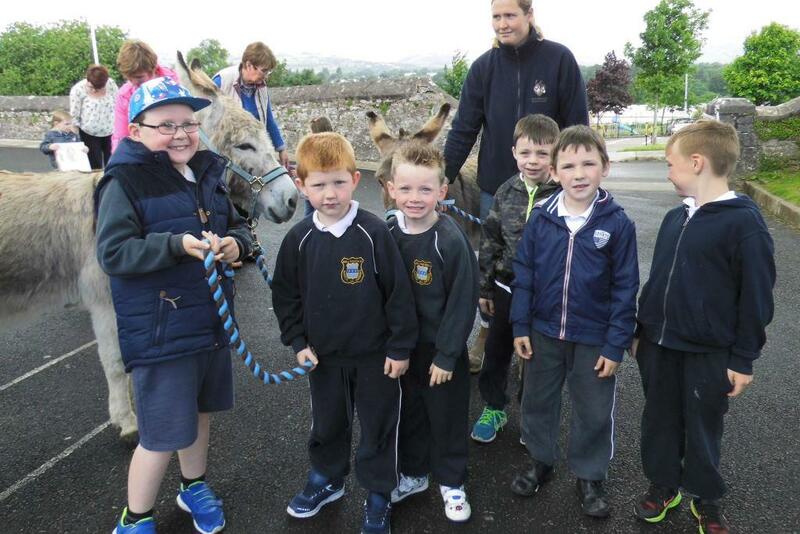 Last Friday, June 24th the boys and girls in Juniors and Seniors had a very special visit from Piggs and Alvin, two donkeys who came all the way from the Donkeys Sanctuary in Liscarroll. 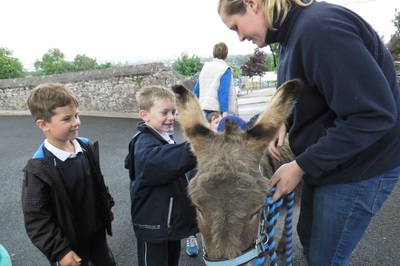 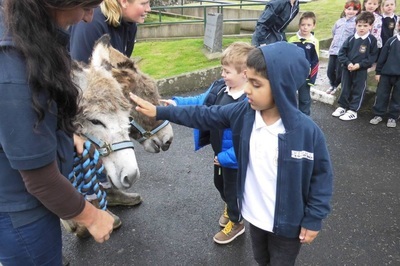 They each got an opportunity to rub the donkeys and learned some interesting facts about donkeys and their care. This was a massive surprise for the children who thoroughly enjoyed it! !